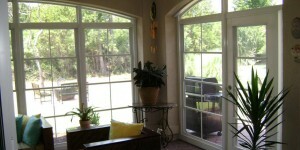 Of course, the best patio enclosures on the market aren’t worth a dime unless they’re installed correctly. When you choose Green Machine for your new patio enclosure, proper installation will be the last thing you’ll have to worry about. Every member of our installation crew is factory trained and certified, and will perform exemplary work in an efficient manner without cutting corners. And, throughout the installation process, we’ll make it a point to keep a clean and tidy worksite at your home. To find out more about the elegant Eze-Breeze® patio enclosures that we install for homeowners throughout Jacksonville, FL, and the surrounding area, please contact Green Machine today. We’ll gladly provide you with a complimentary consultation and pricing estimate for your project.